Join my team in 2014 and you are automatically enrolled in the Fresh Start Rewards Program! This is a great way to build stock and reward yourself with an incredible amount of FREE products! 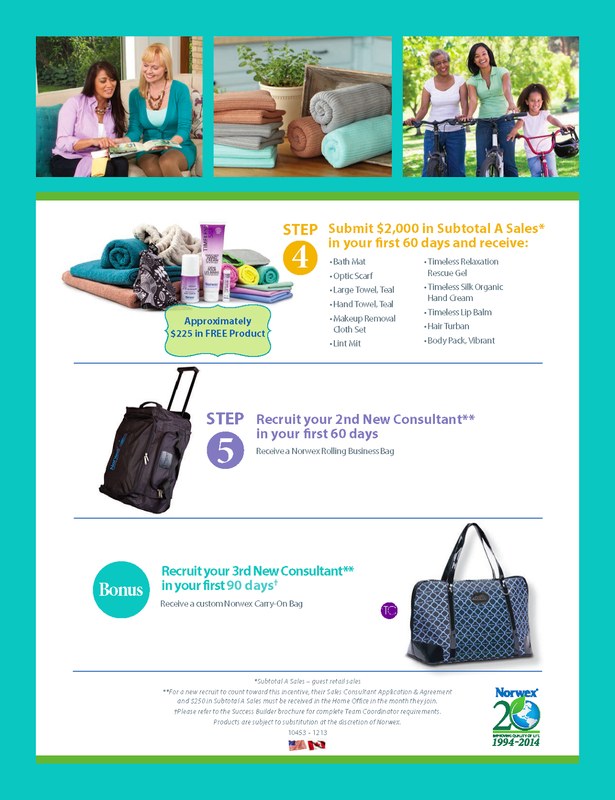 In addition to 35% Commission, new Consultants can earn more than $700 in products and Norwex logo’d items by simply booking, selling and recruiting during their first 90 days of joining Norwex. 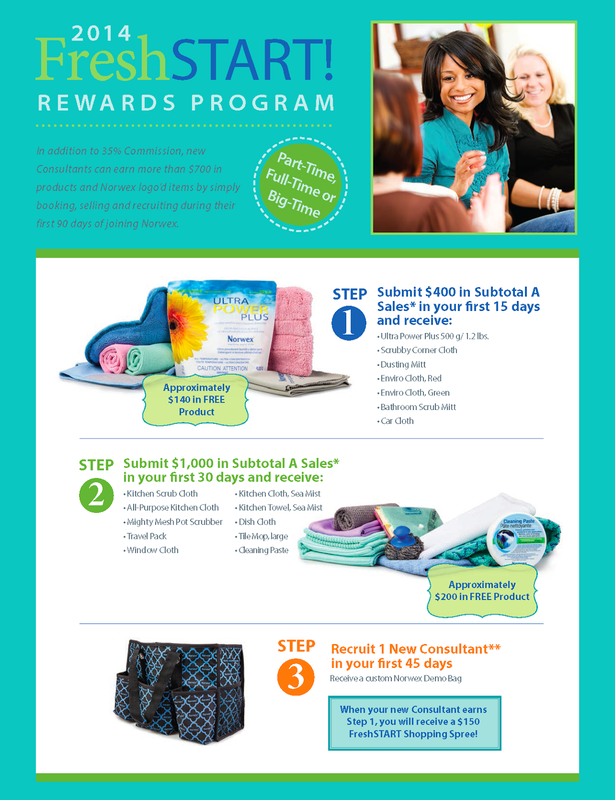 Join Norwex for FREE in February!